Does your little clown make you laugh not just on a daily basis, but an hourly one? Do they love to perform hilarious tricks and jokes for everyone and anyone, from relatives and friends to perfect strangers in the grocery store? Are they obsessed with turning balloons into whimsical animals and hilarious shapes? If so, then help your little laugh riot turn into a clown with this pair of Kids Clown Shoes! 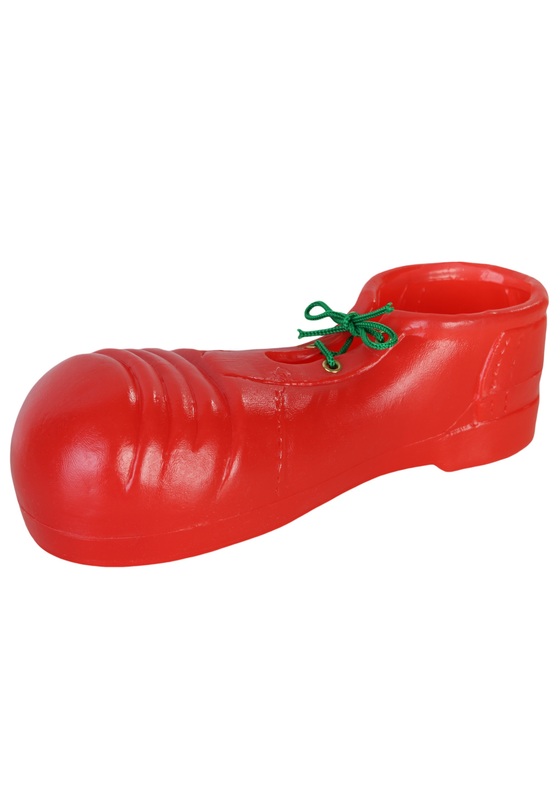 These hilariously big Kids Clown Shoes are made of red plastic and come with green shoelaces. They’re so big, you won’t be able to stop yourself from laughing when you see your little buddy clomping around in these this Halloween! Pair it with one of our colorful, fun kids clown costumes and any of our great clown accessories and watch them turn wacky! Even better, get a clown costume of your own and put on a double-act! It’ll be one amazing show!